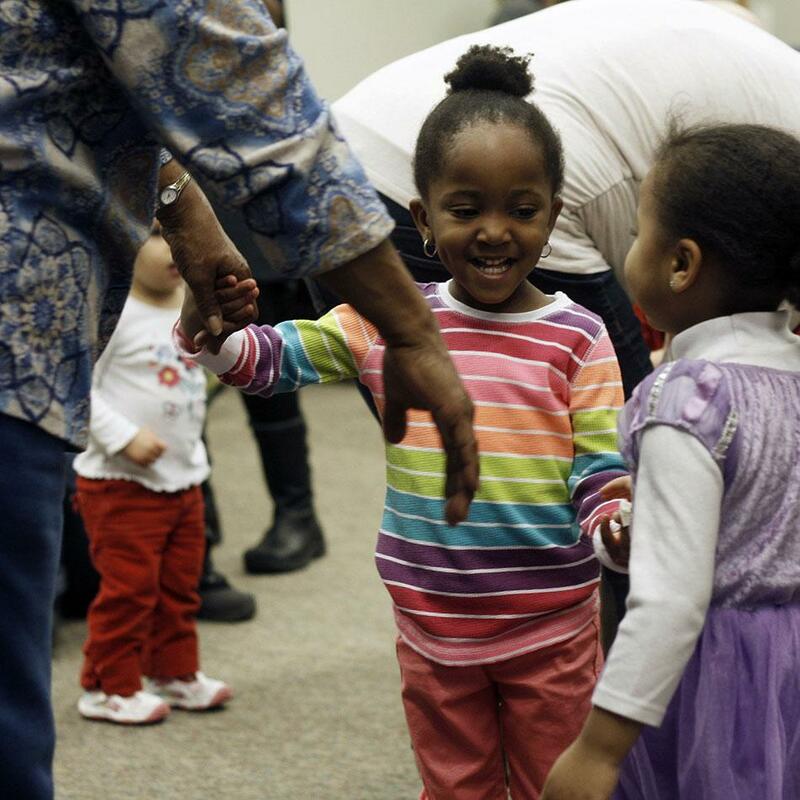 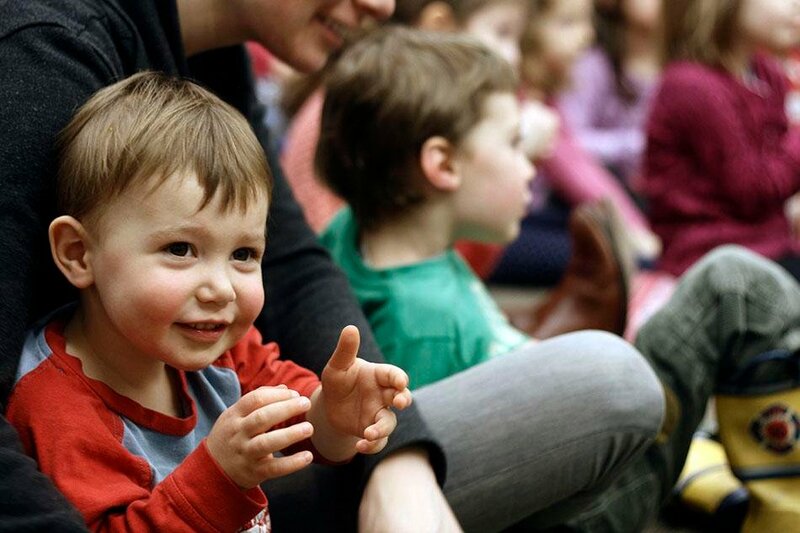 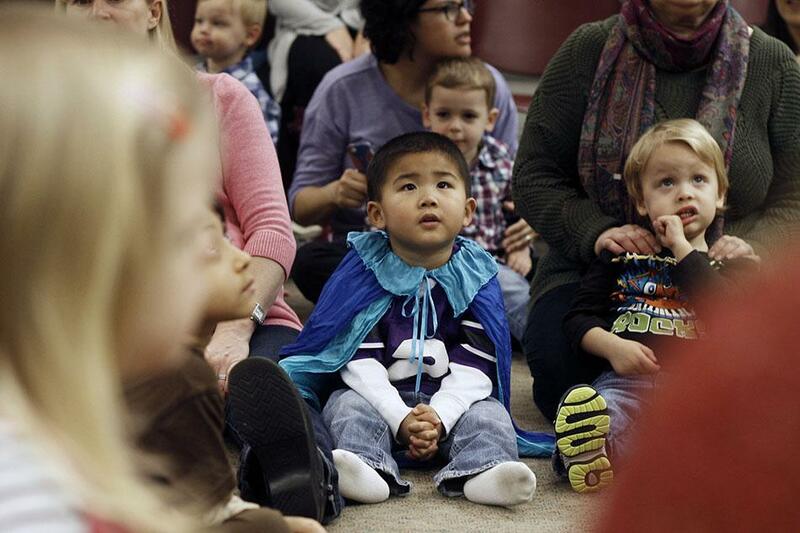 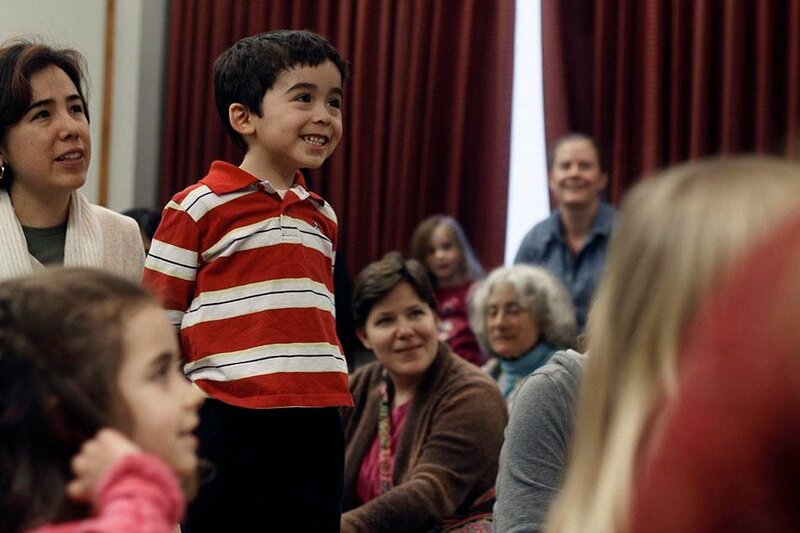 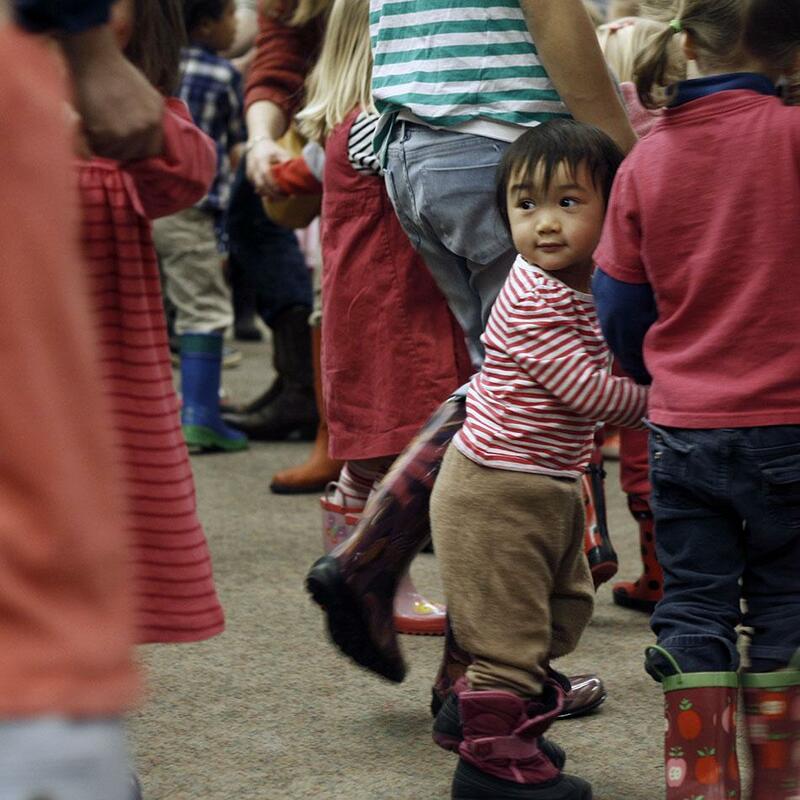 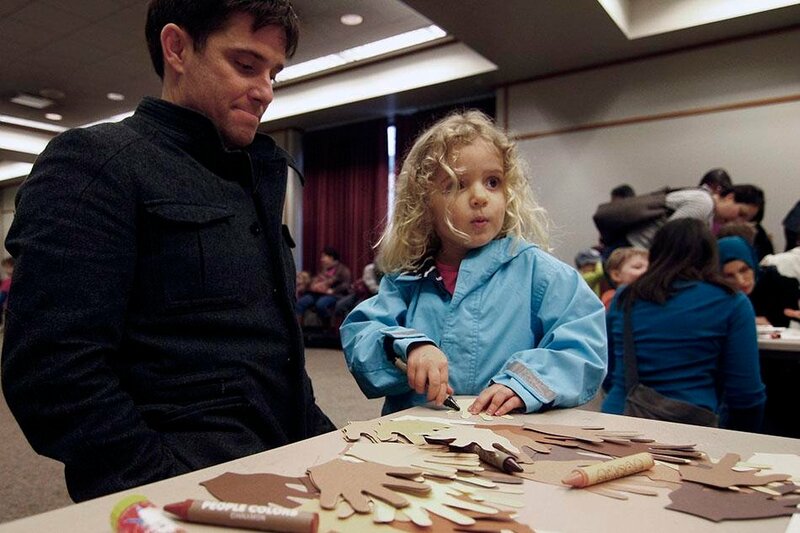 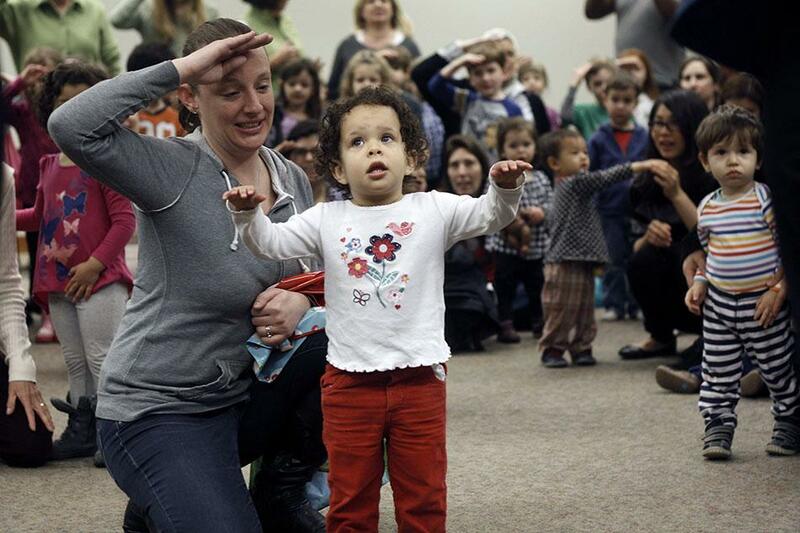 In celebration of Evanston Public Library’s Week of the Young Child, Children’s Outreach Librarian Rick Kinnebrew and Children’s Services staff Martha Meyer hosted a Preschool Dance Party in the Main Library last Thursday. 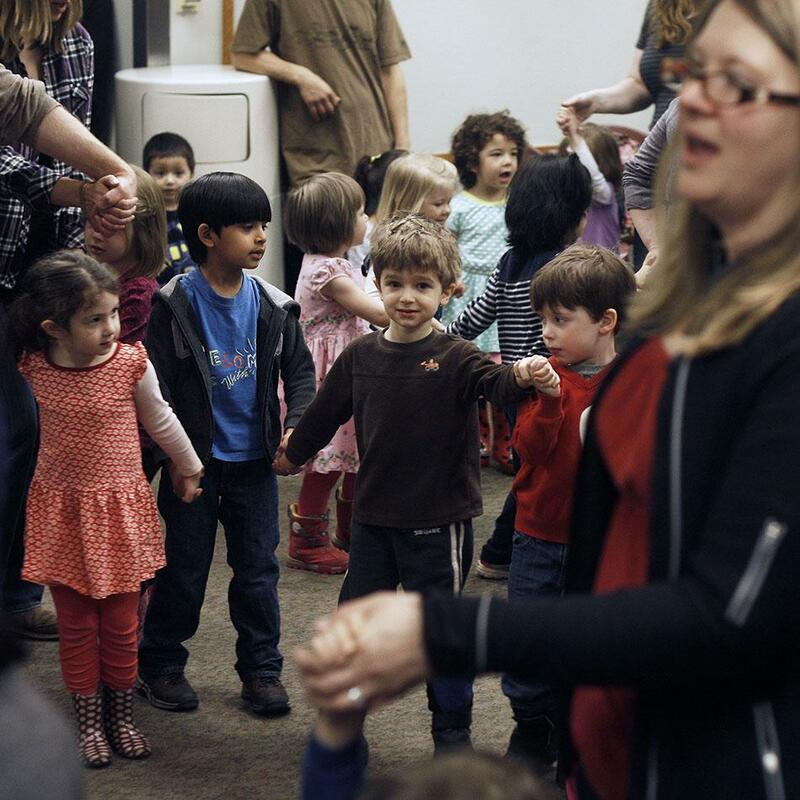 Emphasizing the link between phonological learning and cognition of songs, rhythms and rhymes, the event included popular children’s dances such as the Wiggle Dance, Penguin Dance, Hokey Pokey and Sally Go Round the Sunshine. 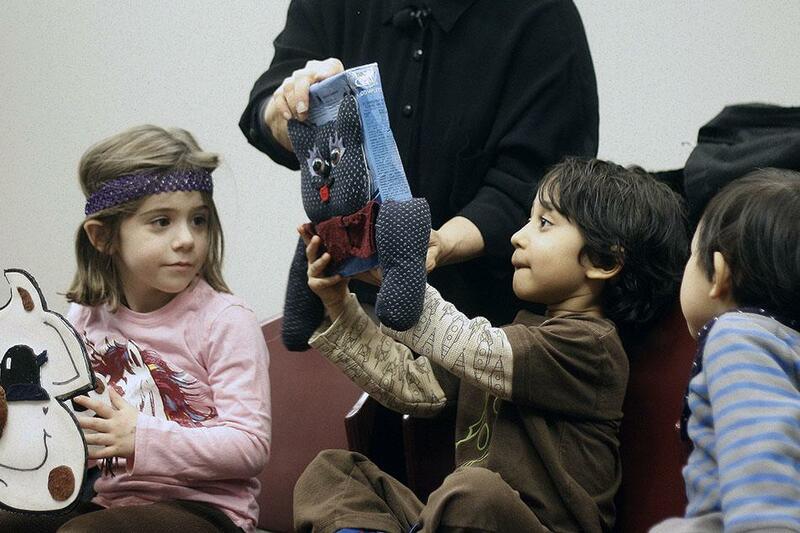 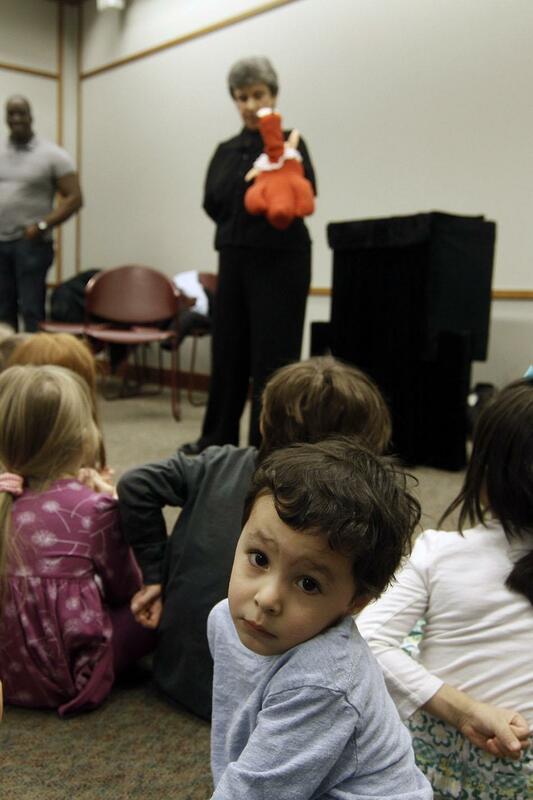 The dance party concluded with a puppet show by Evanston storyteller Marilyn Price.